South Uist was the birthplace of Flora MacDonald who helped Bonnie Prince Charlie escape from Benbecula "over the sea to Skye". The ruins of her birthplace are marked by a plaque, close to the Kildonan Museum, which houses the Clan Rannald Stone. It also has a highly rated café. South Uist is joined to the other islands in the middle part of the Western Isles by a network of causeways - the most recent being that to Eriskay completed in 2001. Northwards a bridge was built to Benbecula during WWII to replace a low tide ford, this was replaced in 1982 by the current causeway. 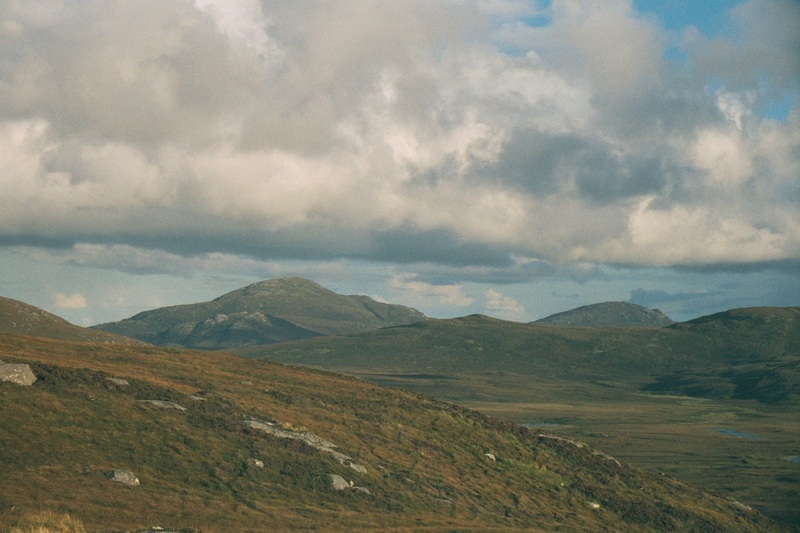 To the west, South Uist consists of a peat bog punctured with numerous lochans separated from white sandy Atlantic beaches by a strip of machair. To the east the land rises to several peaks the highest of which is Beinn Mhor (620m). 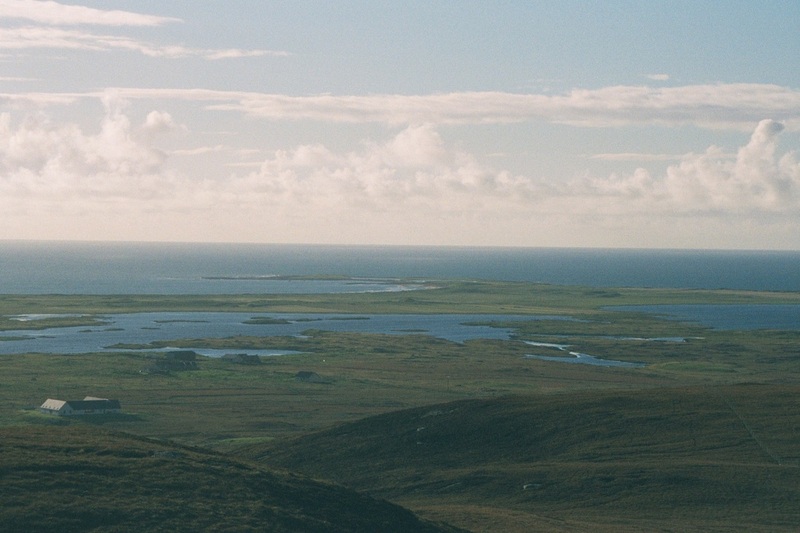 Three sea lochs penetrate this coast, including Loch Boisdale site of South Uist's port and main settlement. (Some Maps may give place names in only Gaelic or only English, so spellings may vary - alternate spelling shown in brackets in some cases). By CalMac ferry (timetable Winter Summer). Sailings 4 times a week in summer, 3 times a week in winter, take nearly 7 hours from Oban, where the ferry terminal is adjacent to the railway station - Oban (OBN) Live Train Times. 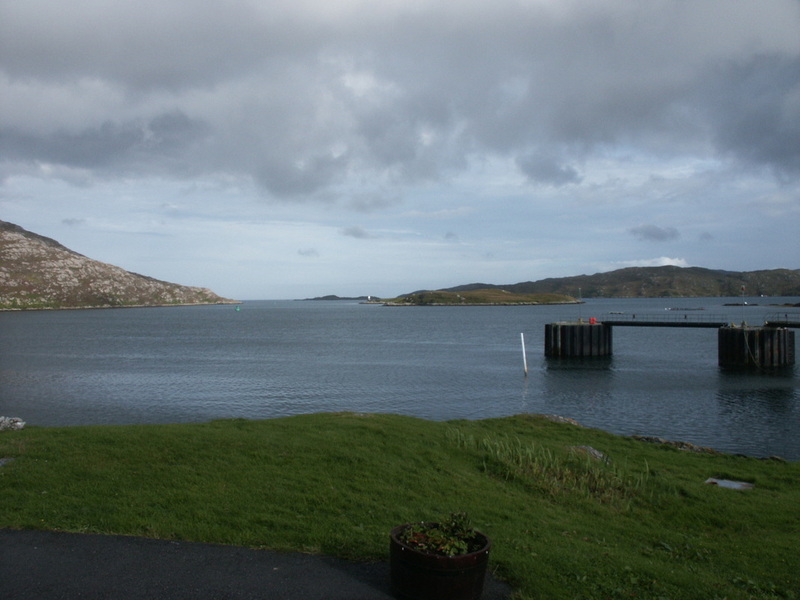 Most sailings are via Castlebay (Barra), but one summer sailing is direct taking just 5 hours. There's also the Sound of Barra ferry service between Barra and Eriskay (timetable Winter Summer), which is in turn connected to South Uist by a causeway. 5 sailings each way each day in Summer, 4 (2 on Sundays) in Winter. I've visited South Uist three times firstly in 2001 - too long ago to have any real memories of how good the accommodation was. It is on the main North-South road (A865) but fairly remote (I didn't have the bike with me then). Stayed at Brae Lea in 2002 and again in 2004, clearly good enough for a repeat visit, but again too long ago for my memory. There are some pictures from my visit to Brae Lea in 2004 in my flickr collection. Convenient for the ferry. 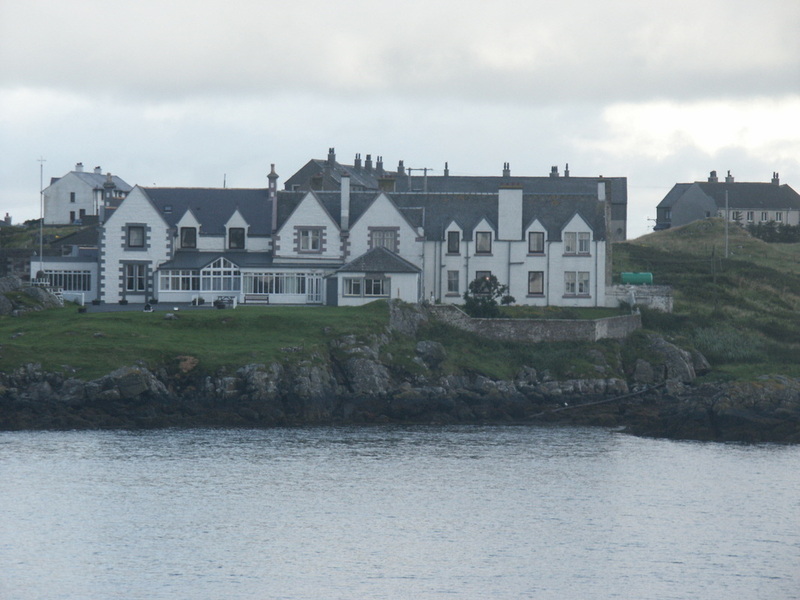 Of the hotels and inns listed above, only the Borrodale's website advertises its "selection of fine whiskies", though I recall a few malts being available at the Lochboisdale Hotel. Banking - RBS in Lochboisdale with ATM.